Detective Oh Goo-Tak (Kim Sang-Joong) and his special team of crime investigators attempt to rid the city of evil criminals. Park Woong-Cheol (Ma Dong-Seok) is a member of the crime investigation team. Movie is a spin-off of OCN drama series "Bad Guys." Shan Mar 28 2019 5:44 am Bad Guys without Park Hae Jin and Jo Dong Hyuk?! What's the use! You need the whole team back! JKY's fan Feb 11 2019 12:39 am when is this movie premiering????? Cici Jan 02 2019 12:11 am Pliiisss bring back jo dung sok and park haejin :( no one can't replace them on bad guys ? 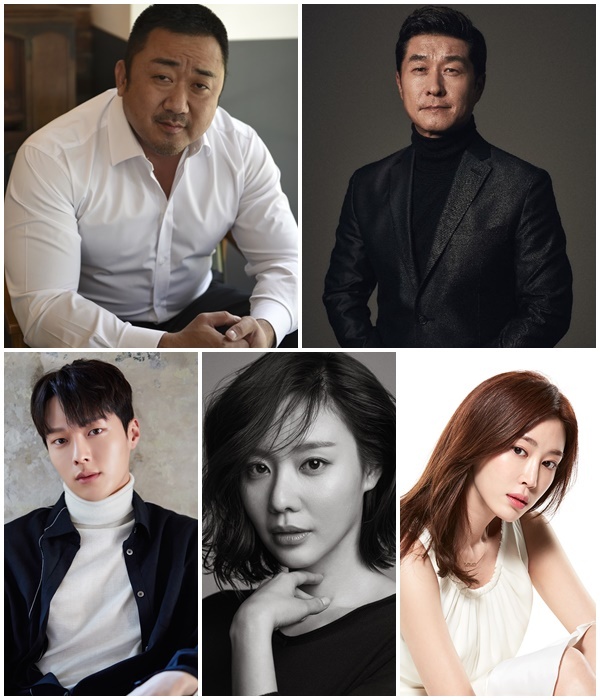 shimshim88 Nov 01 2018 11:37 am PD nim, Writernim, OCNnim, Please bring back Jo Dong Hyuk and Park Hae Jin to the Bad Guys The Movie. There is no one can replace them as Jung Tae Soo the assasin and Lee Jong Mun the genious. Loki Aug 07 2018 9:36 pm Wow Jang ki yong is going to be here! I'm surely going to watch this....huhuhu it's going to be a long wait it's due next year TT ^ TT ki yongie fighting! ........ Jul 26 2018 3:44 pm Please tell me there's room for Jung Tae Su! Hope to see a reunion of the entire main cast.